A little fall complicates big things. But having to lie flat on your back can give you an opportunity to do some things. I made a knitted doily. 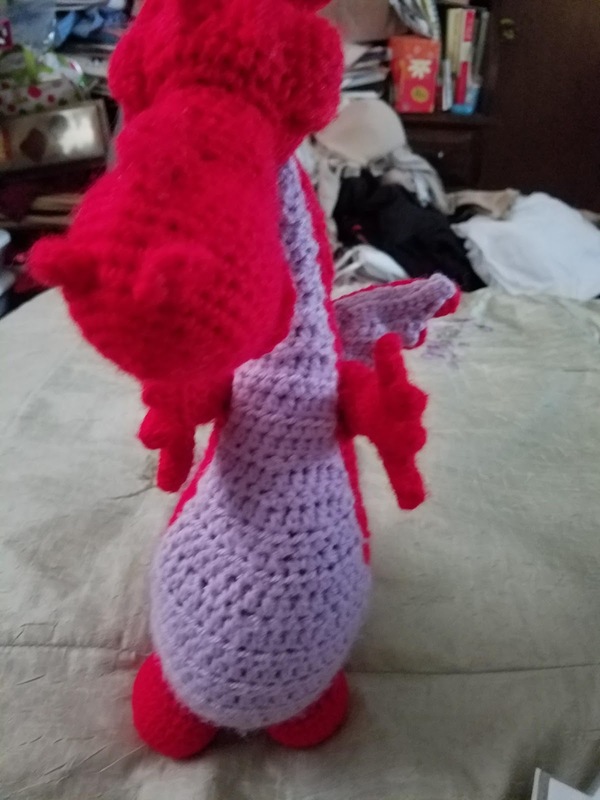 I also finally put together the dragon. 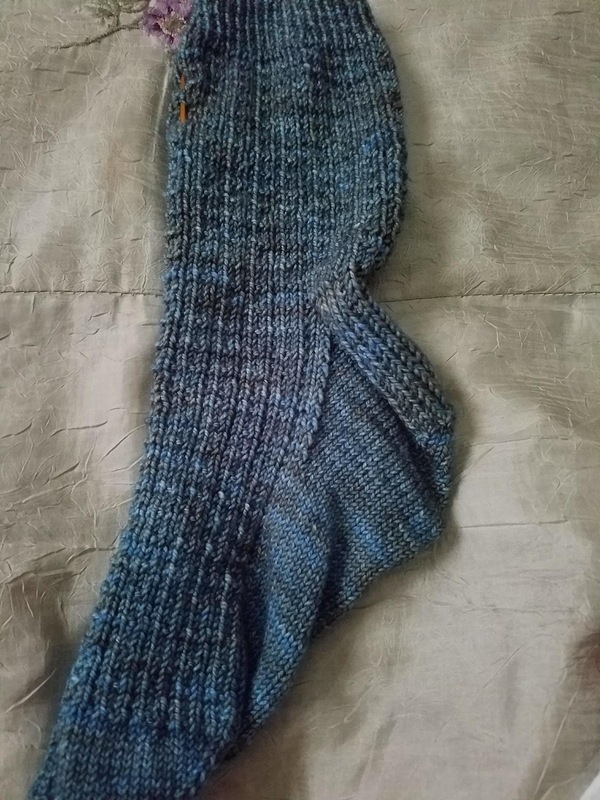 I completed a sock, and am still working on the second one. 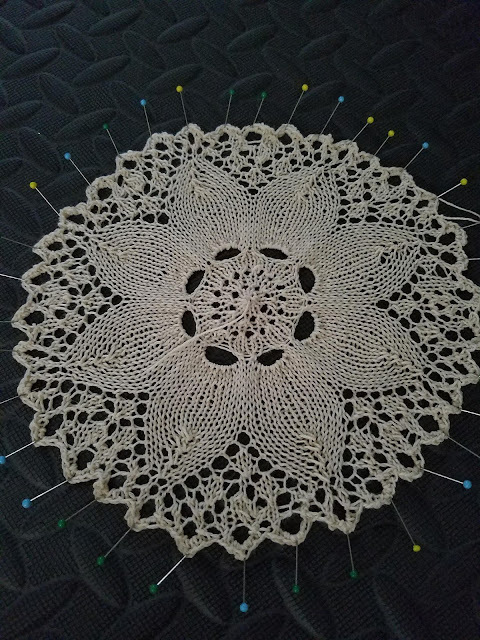 I am starting another doily, but this time it is crocheted. I have not done one before, because my tension never worked out. This time, it is. I think it is a matter of working with something familiar. 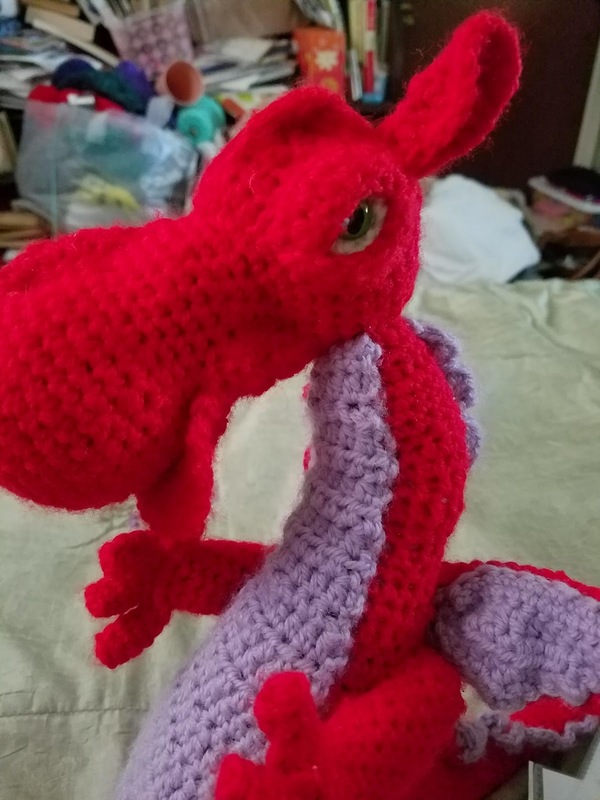 I have started working with smaller yarn and smaller needles, and it helps keep the tension. It has been a while since I posted, mainly because of pain. Pain has hindered a lot of my summer plans. I have tried to keep moving forward slowly, but even slow hurts.